“Buz” Kohan was born in New York in August 1933. He is an award-winning producer, writer, and composer. Among his many credits are working on “Jackson Family Honors“, “Going Back to Indiana“, “Motown 25“, “You Were There” – Sammy Davis Jr.’s 60th Birthday Celebration, the 1993 Presidential Inaugural Gala, and too many others to mention. This poem I wrote for Michael back in 2004, when he was going through a very difficult time. I sent it and a day or two later, a messenger came to my door to give me a big bag of gifts. I was about to sign the shipping, when he said that there was more. He returned with a large metal object that seemed to be chirping. I thought, how nice, someone’s sent one of those mechanical birds, but when I uncapped the cloth that covered it, I realized that there were no mechanical birds, but two beautiful white doves or pigeons and they were very much alive. Together with the birds was a lovely and heartfelt note thanking me for the poem and telling me that he had been touched by it. Also, there was a book about exotic birds and bird food for an entire year. I took the box with the birds to the yard and named them “Billie Jean” and “Bad“. One night an animal that roamed the house attacked “Bad“, and I thought that being so close, soon Billie Jean would die with a broken heart. As a tribute to his indomitable spirit, “Billie Jean” continues chirping five years later. Keep on singing, sweet bird. Sadly, Michael never had the opportunity to sit with me to put music to the poem, and I’ve just kept it in my files. I hope it can send an inspirational message to the world … something that Michael always tried to do with his music, his charity, and his life. My friend Michael is gone too soon, but his light will never fade. I noticed a correlation between the “two birds” Buz received from Michael, and Michael’s poem from Dancing the Dream, called “Two Birds“. In Michael’s poem, he writes of one bird who watches invisibly and silently and whose voice Michael longs to be heard in his songs. Michael is gone now, much like one of the birds Michael gifted to Buz, but the other bird still lives. Michael’s soul still lives on in his music. How many people “discovered” Michael after he died? From what I hear, quite a few. How many more deepened their understanding and knowledge of Michael after he died? Probably millions. It´s hard to tell them what I feel for you. They haven´t ever met you, and no one has your picture. So how can they ever understand your mystery? Two birds sit in a tree. One eats cherries, while the other looks on. Two birds fly though the air. One’s song drops like crystal from the sky while the other keeps silent. Two birds wheel in the sun. One catches the light on it’s silver feathers, while the other spreads wings of invisibility. It´s easy to guess which bird I am, but they´ll never find you. Unless they already know a love that never interferes, that watches from beyond, that breathes free in the invisible air. Sweet bird, my soul, your silence is so precious. How long will it be before the world hears your song in mine? I think that day arrived on June 25th, 2009. We often think of physical death as a sad, dark thing – a bad time. And it is for those who are left behind. But what if it is something that set Michael free from the anguish of this life? What if it means his soul can finally be heard in his songs without all the other distractions and noise of endless scandals and allegations and smarmy tabloid rumors? What if this means that now he can be appreciated in the way he always deserved to be appreciated? Of course it isn’t fair. It isn’t fair that this appreciation for Michael’s music and his artistry and himself as a human being and a humanitarian was not present in his life. But he’s finally free from the confines of all that. His song still lives – his soul is still very much alive in his music. To me, that’s what “Two Birds” is about. I think he wanted that level of appreciation when he was alive. I saw what I’ll always believe was a physical manifestation of Michael flying away after he died. 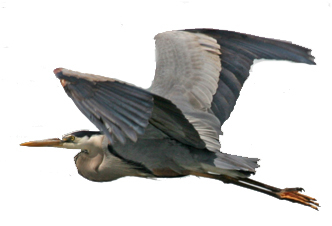 I watched in amazement as a stunning blue heron flew in and slowly walked around a beautiful glasslike pond in July 2009 as I sat on a bench nearby. The bird flew off when a couple with a camera got too close – another metaphor for the lack of privacy Michael experienced in his life. When he flew away, he was free from that. This was one of the most incredibly beautiful things I’d ever seen. I had the distinct feeling that this meant Michael was finally free of it all while the other bird, his soul, still lives – never interfering, watching from beyond, breathing free in the invisible air. How long will it be before the world hears his soul’s song? We can hear it now. Just put on the music. With Buz Kohan and with Michael, there were Two Birds. And one still lives. Keep singing, sweet bird. Beautiful story. I always love how you manage to find all of these uplifting, inspiring stories about Michael. I am one of these persons that deepened my understanding and knowledge of Michael after his death. And how happy I am about this you can’t imagine! How many wonderful feelings I experienced! How many valuable reflections I did with myself. How many “wow” exclamations I keep saying day after day. Really wonderful. I can hear his soul in his music and many times my soul too. I loved this story. Thank you! It was another “wow” to me. I wonder if those who dimmed Michael’s smile ever feel a bit of remorse? Do you see what I see at the bottom of this page. Everywhere I go throughout the MJ community suddenly I am finding the trolls are leaving behind their trash. Strange once I pressed “submit comment” for my earlier post all the lines advertising prescription medicines went away. I don’t see any advertisements and don’t allow advertisements on this site. Have never seen any here actually. Did you try clearing out your browser cache? Seven the poem is so intense and beautiful, something only a true friend could write. 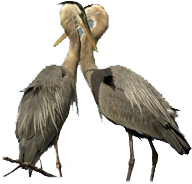 And the story of the 2 birds. And your bird experience.Amazing. I am now convinced that Michael did have some true friends. In an interview during trial when asked if he still had friends who stood by him , he said most people have, the true blue you wouldnt know. Im sure mr Buz Kohan was one of the true blue. I hope Michael felt the love then and now feels the love and appreciation that came in abundance sadly after he passed. I feel that nothing in Michaels realm is coincidence. Everything has a meaning. From his songlyrics and poems to the trials and witchhunt, what he gave and the betrayal he got in return. But also the steady pilars who stood by him,and the fans who work so hard and voluntarily and with so much love to spread his message. They are an insight in human nature and a life lesson. Thank you so much Seven for your great contribution to honouring Michaels legacy and giving him the respect he deserves. Another lovely story. Again someone who has never stepped to the presh to speak about Michael. A dear friend. And again the story on what a great man Michael was. I stopped coming to your site for a while Seven. Not because I don’t like the site, but because the stories always made me upset and cry. So I’m now reading back a few months and loving the stories again!!! Thank you for your time and research on Michael’s behalf. It is so good to be able to communicate with others who appreciate him. I didn’t come to know him until after he passed, but I have learned so much about him since then. He was so misunderstood because the world didn’t know who he really was. 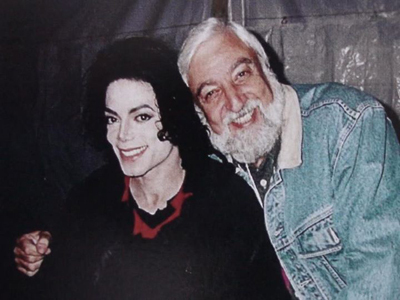 I know when you are an entertainer of his magnitude, he had to be cautious as to who he let into his world… so many sharks out there to latch onto him and make money off his talent… they’ll do anything for money… Michael was right. My eyes have been opened to who he really was, not what the tabloids created him to be, and I love what I see… a caring soul, and a heart full of love, and His love for God which especially thrills my heart.I have been listening to his music now with my heart open, and seeing that he has been trying to tell us something for a long time now… to watch out for the backstabbers, and always believe in yourself, never give up on your dreams no matter who is throwing negativity at you, brush it off, and get back up on your feet… be humble and have the purity in your heart of a child….Keep the faith…just to name a few. I think he was trying to warn us of things that would happen if we didn’t take care of “our world”. While there is still time…and the “window” is still open.. we need to love the planet and nurture it… the way God intended it to be since the very beginning.I have recently seen interviews with just him and his friend, and it is precious to be “let in” to those private Michael moments… to see who he really was… what his passions were, what he really enjoyed, and the things that made him “cry” .I often think about what it would be like to have been his “friend”. My heart has been stirred and woke up to many things because of him, and he has been an inspiration to me in my life. I never dreamed this could happen to me… but it did. I am on a journey… day by day with God and Michael, and the things I am learning are not by coincidence. I know that now. I am looking forward to what each new day holds, as Michael spurs us on to love each other… showing us that God is the Author of Love. My walk with the the Lord has become deeper as I have been walking this road, and I live in joyful expectation as to where this journey will lead.